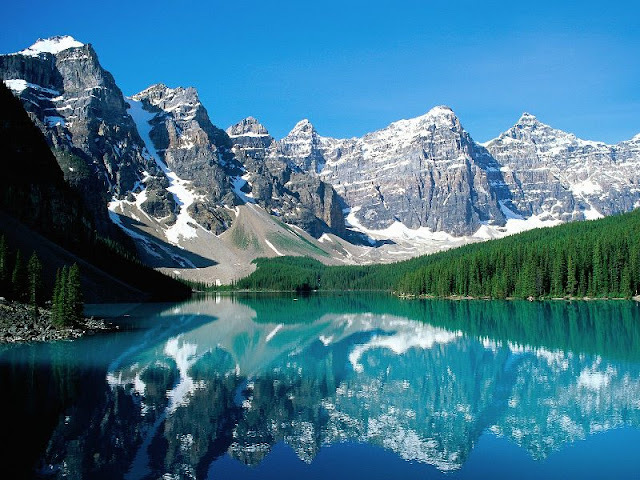 Rocky Mountains or Rockies are a highland mountain range that extends to the west of North America and a length of more than 3 thousand miles. The highland stretches from British Columbia in Canada and New Mexico in the United States of America. The Highland is mostly made up of shale and limestone. Here, you can do various activities such as mountain climbing, rock climbing, rafting, downhill cycling, skiing, horseback riding, fishing, or just a picnic and enjoy the scenery. There are many entrance into this area. Tickets sold at an average price of $ 10 to $ 80 not including the rental location for a picnic or camping. 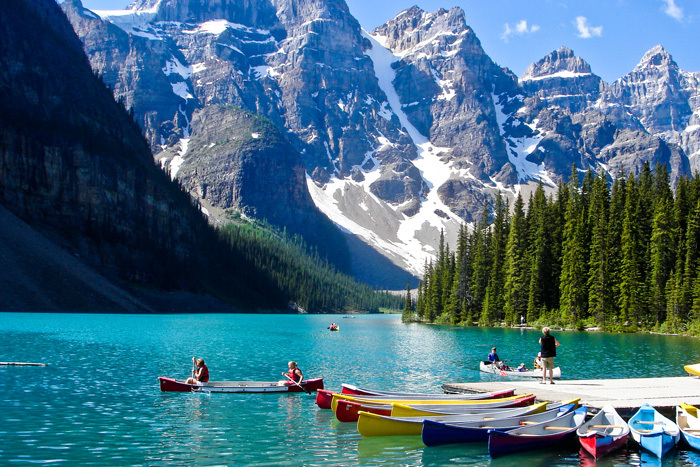 Rocky Mountains is one of the famous places to visit in Canada. 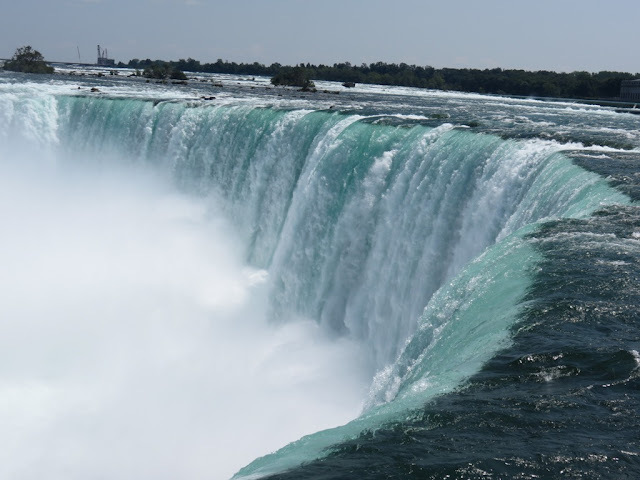 Niagara Falls is a waterfall that, although not very high, very wide and popular in the world. More than 6 million cubic feet of water per minute dropped and this makes the waterfall become the strongest waterfalls in North America. Niagara is also famous for the beautiful rainbow across the middle of the swift waterfall. Waterfall attended by tens of millions of tourists every year is in line the border between New York and Ontario. This location makes the emergence of "grabbing" of tourists between the United States and Canada. 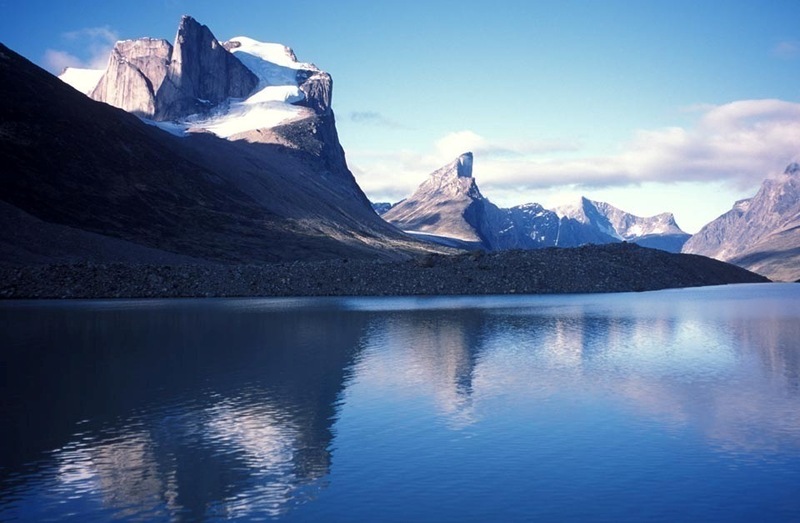 Baffin Island is an island of the group Arctic Islands. The island is also the largest island in Canada and included in one of the largest islands in the world with an area reaching 507 451 square kilo meters. The island offers wild beauty that is hard to find in other countries. You can see whales, polar bears, arctic foxes, rabbits North Pole, wolves, seals, and many other animals. 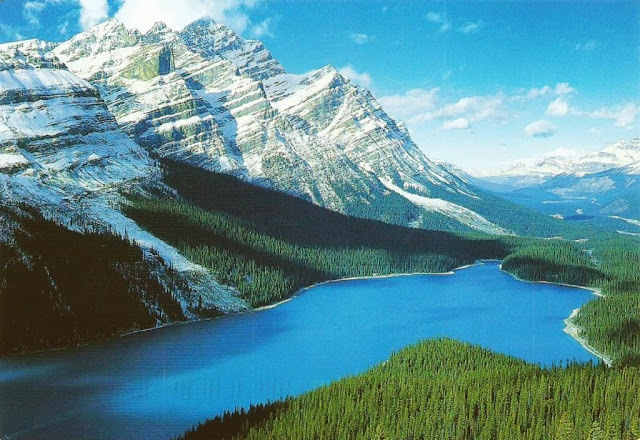 This national park is one of the national parks in the Rocky Mountains, the location lies to the west of Calgary, Alberta. Here you can see the mountain range with hundreds of glaciers, forests, ice rink, and a view of the Alps. Besides you can feel the beauty of this national park, you can also do a pretty extreme activity, namely diving in ice-cold lake which is of course accompanied by a professional lifeguard. This national park entry tickets costing between $ 10 to $ 20. Two of this lakes are the lakes that are located in Alberta and have very clear water. Some argue that the color of the water is turquoise. The beauty of these two lakes will be very unfortunate to miss. Here you can enjoy the beautiful scenery while doing other activities such as hiking and snowboarding. 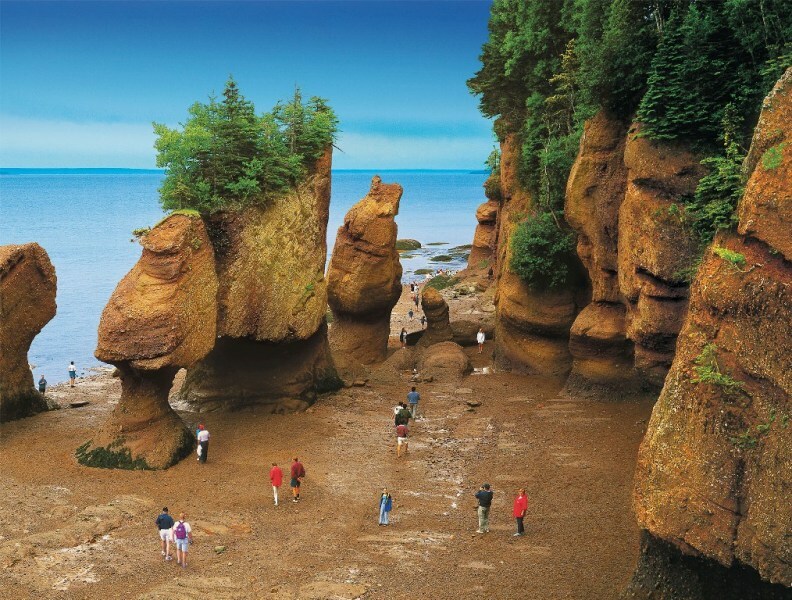 Fundy Bay is located on the east coast of Canada and has an area of 270 square kilo meters. The bay has the highest tides in the world by a margin of 16.2 meters. A total of 100 million cubic meters of sea water flow in and out in this bay during 6 hours interval. 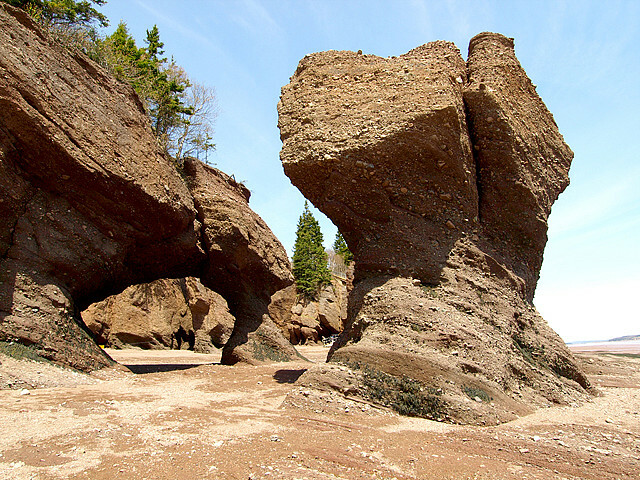 The bay is famous for its coastal rock formations and extreme tidal effects. In this bay, you can enjoy the dramatic scenery of steep cliffs and volcanic rock which reveals a large number of fossils and a sign of life from millions of years ago. The Bay of Fundy is also a point of migrating birds, where the discovery of rare and endangered habitat of the whale, and the discovery of fossils of plants and animals. Hopewell Rocks is a rock formation that is located on the top edge of the Bay of Fundy, this rock caused by the ebb and flow of water erosion, tidal water in this area reaches 52 meters and is including the highest in the world, this region includes Fundy National Park that provides mountain bike tracks that is length about 40 km, the area of the camp is also a hiking area as far as 110 km. For locals, they could see rocks covered by water twice from the ground when the water was receding. Confederation Bridge connects to the province of New Bunswick and Prince Edward Island, the bridge is located in the Northumberland Strait precisely in Abegweit Passage. This bridge was built on May 31, 1997. The length of the bridge is 8 miles and the bridge is called the longest bridge in the world to have two sections of freeway with 40 meters above sea level. If we get there, we will see the area covered by ice water. 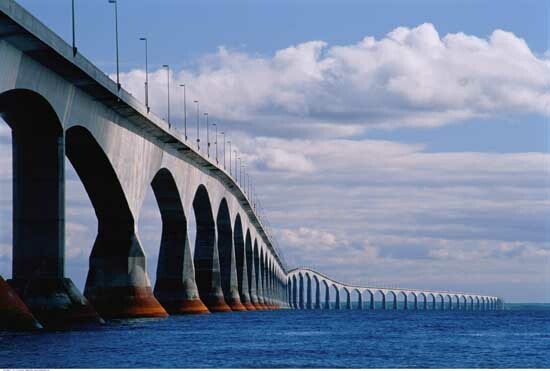 The Confederation Bridge is one of the famous places to visit in Canada. it stretches 300 km and located in the east coast of Canada. This is really the perfect place for you to make the long journey with the mountain scenery as well as the beautiful sea. 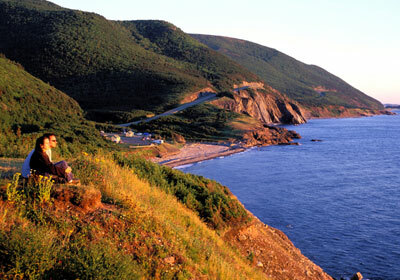 For Cabot, you can watch whales swim, visit fishing village and seeing any other landmarks in Canada. Vancouver and Victoria are two of the most beautiful cities in the world and also clean. The beauty of Vancouver is a beautiful harmony of mountains and sea. You can play golf, sailing, swimming and skiing when visiting the city. 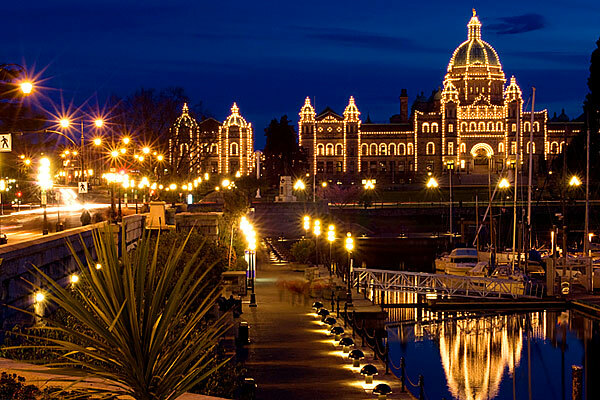 The beautiful city of Victoria with the busiest port is located at the southern tip of Vancouver Island. This small town has a feature that is always calm and charming.